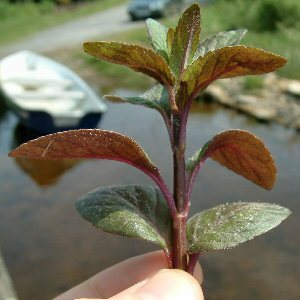 A mint species characteristic of fens and marshes and the edges of lakes, canals and slow rivers. 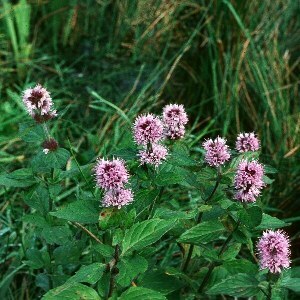 The toothed leaves are broadly oval and the pale flowers are carried in a round head at the top of the stem. 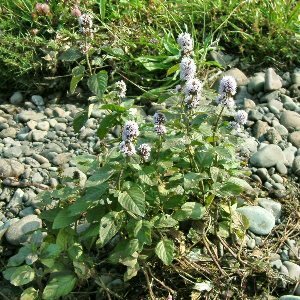 All names: Mentha aquatica L.